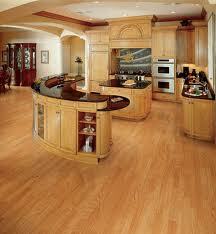 Below you will find links to Issue Briefs and Talking Points for several key hardwood issues. The documents may be downloaded or printed. If there's an issue we're working on, but you can't find here, please contact us. 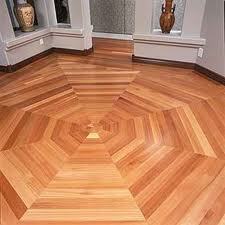 If there's a new hardwood issue you think we should be aware of, don't hesitate to let us know that also. Export Promotion: The Hardwood Federation is a long-time proponent of full funding for the Market Access Program (MAP) and the Foreign Market Development (FMD) Program, both administered by USDA. These programs provide essential resources to support the development of foreign markets for U.S. hardwood and hardwood products. 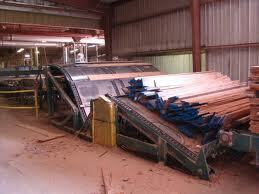 The American Hardwood Export Council (AHEC) receives funding from both programs. Full funding for MAP and FMD were included in the 2018 Farm Bill at the $200 million level for MAP and at $34.5 million for FMD. Timber Innovation Act (TIA): TIA was originally a stand-alone piece of legislation strongly supported by HF. 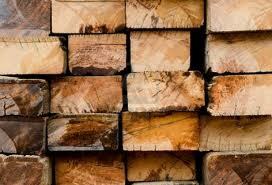 It is a measure that promotes use of wood in taller buildings - higher than 6 stories. TIA was folded into the Farm Bill in hopes of moving it forward and it was indeed included in the final legislation. The provisions in the measure include funds for both research and development as well as wood innovation grants. Community Wood Energy and Wood Innovation Program (CWEIP): CWEIP provides grants to projects that install high efficiency wood heating systems in hospitals, schools, community centers and entire towns. The 2018 Farm Bill authorizes $125 million over the next 5 years to facilitate installations of heat and power systems that operate on sawmill residual-derived fuels. Although this program has been in existence for several years, it was authorized at only $5 million per year and never received appropriations. The scope of the program has been broadened as well, such that capital improvements to sawmills would also be eligible for funding under CWEIP. 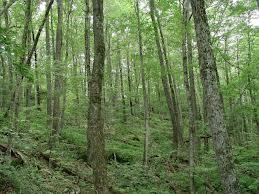 Federal Forestry Management Reform: Minor improvements were included in the bill. These include expanded Good Neighbor Authority to allow Indian tribes and counties to participate in the program; an additional categorical exclusion for greater sage grouse and mule deer habitat; and some landscape scale forest restoration provisions, such as the establishment of a competitive grant program for financial and technical assistance to encourage collaborative, science-based restoration of priority landscapes. More than 193 million acres of the National Forest System is managed by the U.S. Forest Service (USFS), located within the U.S. Department of Agriculture. Of this total, 46 million acres (24%) are designated as allowable for timber harvest. We acknowledge that are multiple challenges to managing a system as expansive and as diverse as this, including damage caused by pest and invasive species, devastating forest fires, satisfying the concerns of various special interest groups, and budget constraints. However we also believe that the currently designated number of acres allowable for timber harvest is less than it should be and that timber harvesting is not necessarily incompatible with other uses of the forest. Hardwood Federation members are particularly concerned about the impact the above challenges and limited lands available for harvest have on the availability of timber and fiber from federal forests. Timber sales have declined significantly in recent years, negatively impacting countless wood products businesses, local communities and schools that rely on the jobs and tax base provided by the industry. Federation members are also concerned that the decline in active management of federal lands has also negatively impacted the general health and sustainability of the forests. 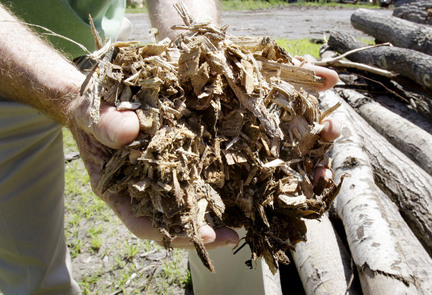 The US Environmental Protection Agency is developing rules to govern the emission of biomass. 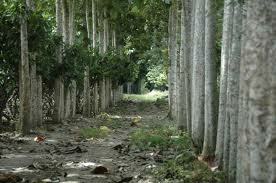 How they approach this issue could have serious consequences for the forest products industry. The Hardwood Federation is tracking the development of the guidelines and providing input and comments. Tax reform is front and center for the Trump Administration in 2017. The Hardwood Federation will advocate for tax policy that imposes fair rates on small and medium sized businesses, provides flexibility in reports and accounting methods, encourages private landowners to maintain family owned forests as forests, and minimizes the tax burden on families that wish to pass family owned businesses on to the next generation. These are not new issues for the Federation, but with a new Administration and interest in tax reform on both sides of the aisle it may be time for reform to take place. 2016 Estate Tax Proposed Changes: On August 2, 2016, the U.S. Department of Treasury proposed changes to federal estate tax regulations that will have a significant, negative impact on small and medium businesses, including hardwood lumber businesses. The proposed regulatory changes under Code Section 2704 potentially prohibited the use of any type of discounts that are customarily applied in valuing assets and property for both tax and non-tax purposes. These include discounts for both minority interests and lack of marketability. The proposed changes added considerable complexity to the process of valuing and transferring closely-held interests, increasing the costs and burdens for family business owners. The proposed changes have been put on hold by Congress, but work continues to have them formally rescinded by the Secretary of the Treasury. Timber Tax: Tax Reform plans put on the table in 2015 would eliminate current tax benefits for forest land owners; current tax reform plans do not have much detail and there is concern that the proposed eliminations could turn up again in 2017. The Hardwood Federation is working to educate Members of Congress about the benefits of current programs to both forest sustainability and the industry. The Hardwood Federation advocates for a balanced national trade policy that is flexible enough to address the wide variety of needs not only within the U.S. Hardwood industry, but also U.S. industry as a whole. We encourage policymakers to view trade not as a “one size fits all” issue, but rather to work together within the context of new and existing trade agreements to employ policies that support the various sectors and their needs. Beginning in 2013, the Hardwood Federation fought attempts to declare the Northern Long Eared Bat as an endangered species. Such a listing would have devastated logging operations in at least 39 states. In January 2016, The U.S. Fish and Wildlife Service issued a final 4(d) rule designating the NLEB as threatened. The rule was, in general, good for the hardwood industry, making significant concessions to allow for continued harvesting in the spring, summer and fall months. Our focused has now turned to preserving the threatened designation and maintaining the 4(d) rule as currently implemented. In 2016, the House and Senate have introduced nearly identical “Timber Innovation Act” bills (S 2892 and HR 5628). The legislation would create opportunities to use wood products, including mass timber, in the construction of so-called tall wood buildings. The proposals define “tall wood building” as those that are designed to be over 85 feet high. The American Hardwood Export Council (AHEC) receives support from both the Market Access Program (MAP) and Foreign Market Development (FMD) program, using the funds to provide vital services to the hardwood industry. The Hardwood Federation strongly supports full funding for MAP and FMD as authorized in the 2014 Farm Bill. These programs provide essential resources to support development of foreign markets for U.S. hardwood and hardwood products. The Lacey Act as amended in 2008 makes it against the law for illegally harvested timber and products made from this timber from being imported into the United States. Illegally harvest timber competes unfairly with U.S. timber and goods and is detrimental to good environmental stewardship efforts. Many green building programs exclude sustainable wood products because of an unfair, unscientific bias against them. 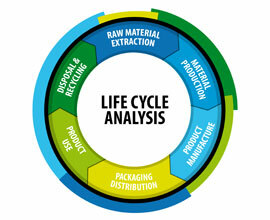 Inclusion of Life Cycle Analysis (LCA) in the schemes would more accurately demonstrates the true green nature of wood products.